The funeral as we know it is becoming a relic — just in time for a death boom blared the Washington Post headline. Whoever wrote this garbage must have scoured the depths of kook-dom. This article bears no resemblance to what funeral directors do on a daily basis. Perhaps if newspapers interviewed actual, experienced funeral directors instead of those who seem like escapees from an asylum they’d get a true picture of funeral service. Among those quoted here is a woman (said to be unlicensed) who caused a great deal of consternation during her time with SCI. Another is an inexperienced counter-culture type who makes a pest of herself, and because of that has been blocked her from our social media accounts. Still, she finds a way to pester. The nonsense terminology–memorialpalooza, fabulous memorial shindig –and tawdry attempts to turn death into entertainment (“Final Bow Productions” –seriously!?) are affronts to dedicated funeral directors, and every person who has suffered a loss. Granted, death rituals have changed over the years, but not that much. The news, however, with their sketchy and slanted information would have you think otherwise. Reporters sometimes take the terms personalization and memorial services and somehow manage to turn them into something akin to circus antics. Death is life-altering, painful, and so very sad. The often irreverent view of death by today’s Press made me think of Mike McAlary, a once well-known reporter in NYC. The father of four young children died from cancer on Christmas day in 1998, at the age of 41. I seriously doubt his grieving wife and devastated children would have turned to “Final Bow Productions” to handle his “celebration of life.” Nor were they likely wanting “to put the “fun” in funerals.” In fact, McAlary’s family and friends attended a Catholic Funeral Mass for him on Long Island. Raw with grief, they, and the priest, shared what he had meant to so many. That, and millions of other stories are the realities of death and funerals. How a Common Death Ritual Made It Harder to Mourn the Loss of My Mother ————-Say What!? This woman is hawking a book, and that likely accounts for her hyperbole, laughable terminology (slumber room, coffin) and misleading information (once again someone who can’t understand that cremation is a type of final disposition and does not preclude embalming). She did, however, catch the attention of a major magazine with her tripe. And she is yet another voice slamming the work we do with such caring and dedication. This is one (seemingly disturbed ) woman’s opinion, and we know that this is not a normal reaction to a perfectly presented remains. As we have seen time and again, it is quite the opposite: families cannot thank us enough for taking away the ravages of disease. Funeral service is being slammed on a regular basis. Unfortunately, part of the problem is that we have stayed silent while kooks (often inexperienced and/or unlicensed) speak for our honorable industry. We encourage funeral directors everywhere to reach out in rebuttal to these defamatory articles, starting with this one. The New York Time’s email: editors@time.com. Author themortegirlsPosted on March 5, 2019 March 26, 2019 Categories Alexandra Mosca, Antidote to Misinformation, Care of the Dead, Death, defaming funeral service, Dying, Embalming, Female Funeral Directors, Funeral History, Funerals, Melissa Johnson Williams, Mourning, Sacred Rituals, Traditional Funeral, UncategorizedLeave a comment on How a Common Death Ritual Made It Harder to Mourn the Loss of My Mother ————-Say What!? Steeped in history, defined by compassion, The Funeral Profession moves ever forward buoyed by innovation, rooted in tradition, and made lasting in the service to others. We proudly honor the purveyors – past & present. This should be funeral services motto. Every generation moves ahead but it should always be rooted in tradition and made lasting in the service to others. 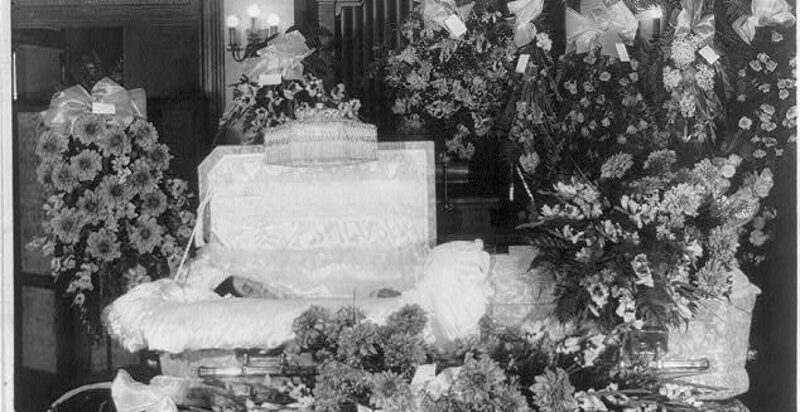 Funeral service history is not considered important by many today. It’s old fashioned and outdated. But what has never changed is this: We serve families. Whether they want a full traditional funeral or they want something modern and innovative we are still rooted in the tradition of honoring the deceased AND the family. Too many times today it feels as though the material that is published in regard to funerals is oftentimes more about entertainment and getting likes on posts, or more followers. Funeral service built its reputation on not getting recognition for what we did. We did our work respectfully and quietly with reverence and compassion. Many people will not “like” this (in whatever form you take that) statement but funerals (now being called “celebrations”) are about remembering someone who has died and honoring that life in the most appropriate way for the family. This should be our only focus. Death never takes a holiday. At whatever time of year a death takes place, it will leave a permanent reminder in those left behind. Around any of the holidays it’s also a painful reminder of the “empty seat”. My own father’s death took place on Christmas Day. He had been sick for several days but my family and I did not anticipate his death any time soon. We saw him on Christmas Eve as I had to work on Christmas Day at the funeral home. While there embalming on Christmas morning, I received a call from the hospital that he was not doing well and we should come. I contacted my family and within the hour I was at the hospital. But as I approached his room, I could hear my daughter crying and the beeping of the machines. I walked back to the nurses station and was a little annoyed with the conversation I had with the nurse who had called me. She kept saying, “I told him don’t die it’s Christmas” and that he had been asking for me. I walked away to go to his room and shortly my sister and her family arrived. We spent a little time with him and then we left, I to go to the funeral home to complete the work I had to do and my sister to her home where we would meet later in the day. Later in the week he had the “funeral directors” funeral. And yes, we celebrated but it was still a funeral, a time to say good bye. He had his Army uniform on and many “personalized” reminders of the career he had as a mortuary science educator and old school funeral director for more than half his life. The ultimate closure to this life story was a champagne toast at the end of his service. It was beautiful. Funeral directors today are often portrayed as villains and no longer relevant. I can tell you there is nothing further from the truth for the vast majority of us. Even in our own difficult time, we often sacrifice our families because we know that someone else needs our help. It is an honor to help families through one of the worst times of their lives. Merry Christmas. Madame CJ Walker was a remarkable African American woman, a distinguished early 1900’s self made business woman. @Suntimes article about the sale of her estate, Villa Lewaro led me to look at her biography. She is buried in Woodlawn Cemetery, NYC.